Scott Howard is an attorney for two residents bringing the appeal. Howard says since residents now have to pay to gain access to that land, the city is violating the terms under which the land was given to it. Cameron notes the golf course takes up only a portion of the park, which has a number of other public uses. He also argues that the park is used by the public more now than it was before the development. Michigan’s Supreme Court will hear oral arguments Friday, but a decision isn’t expected for a few months. The state Supreme Court will not take up the case against the city of Benton Harbor and developers of a Jack Nicklaus-designed golf course. 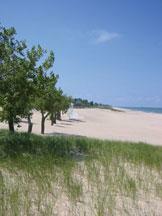 Three holes of the 200 acre golf course were built on the dunes of Jean Klock Park on the shores of Lake Michigan. The 90 acre park was donated to the city in 1917 for public recreation. Opponents argue a private golf course isn’t a public use. Carol Drake is one of two residents who filed the suit. She is vice president of the Friends of Jean Klock Park organization. She says Justice Steven Markman ‘got it’ in his dissent. She argues the case creates a bad precedent for the preservation of public lands. Drake is hoping the bench in a separate, federal case will be more favorable to her side. That case is set to go before the Court of Appeals in Cincinnati this spring. The city of Benton Harbor is deeply divided over the future of Jean Klock Park. And like many things in America, this is, not far below the surface, a story about race and class, and history. Yet there is also an element of Victorian romance here. My guess is that most of the people fighting over the issue don’t know much about the man behind it. John Nellis Klock lived a classic Horatio Alger story. 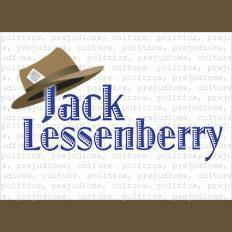 He was born in upstate New York the year the Civil War ended, into a family so poor he had to go to work full-time as a typesetter at age eleven.